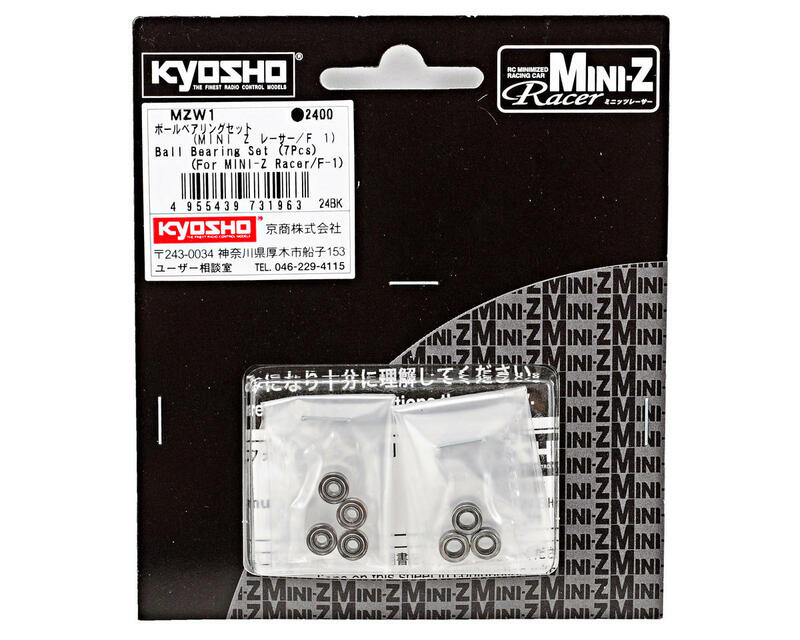 This is an optional Kyosho Ball Bearing Set, and is intended for use with the Kyosho Mini-Z MR-02 and MR-03 chassis. 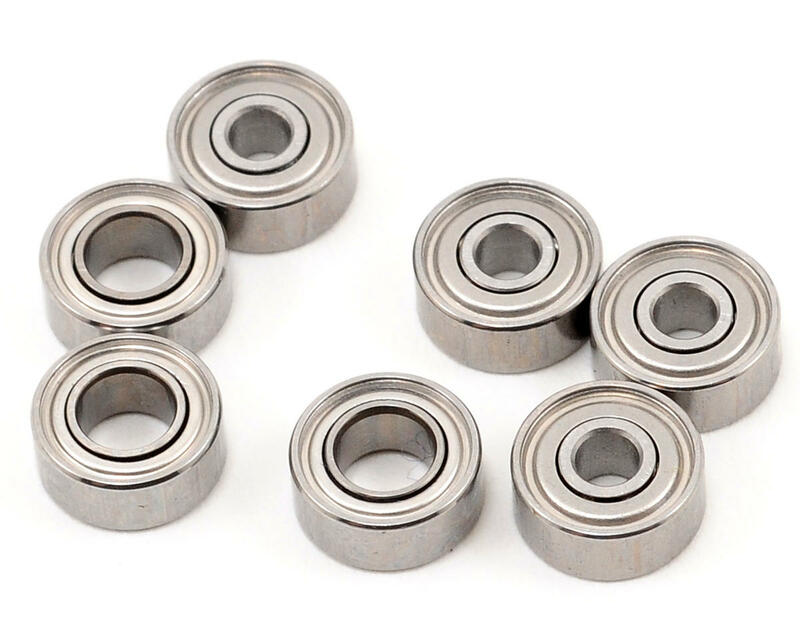 These replace the standard kit bearings with high quality precision bearings that will help to reduce friction and increase run time. The package includes seven bearings, four for the front wheels, two that are installed inside the motor mount, and one goes on the rear wheel closest to the gears and differential. I have this set of bearings. Bearings are all the same if you clean them well. Great improvement. Overpriced (Not due to Amainshobbies) but due to it being from Kyosho. It's not clear whether or not these are ceramic but it works well. I've seen ceramic bearings for the same price or 10 dollars more (for the set).